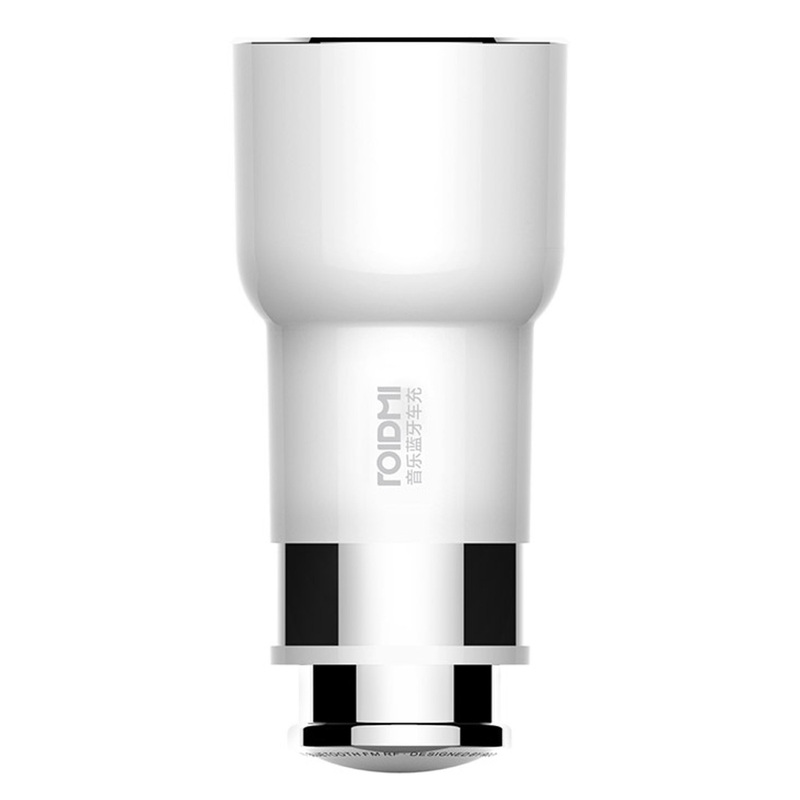 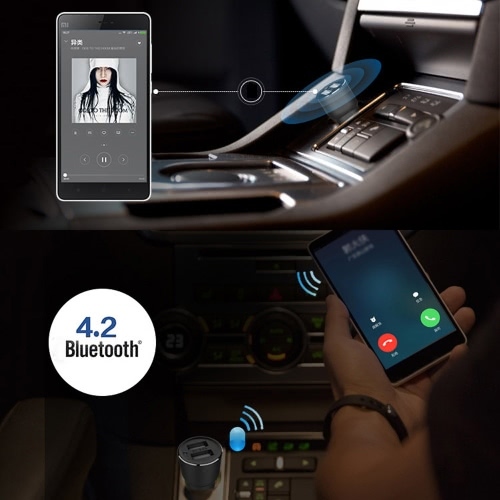 The KKmoon Roidmi 2S upgrade new Music Bluetooth Car Charger equipped with the double model of bluetooth 4.2 chip, compatible with Android and iOS system. Its functions include voice recognition, hands-free calls, music playing, navigation broadcasting and car charging, more convenient for you to listening music, online radio, and enjoy the smart driving. Made of premium materials, safe to use and also feel comfortable. 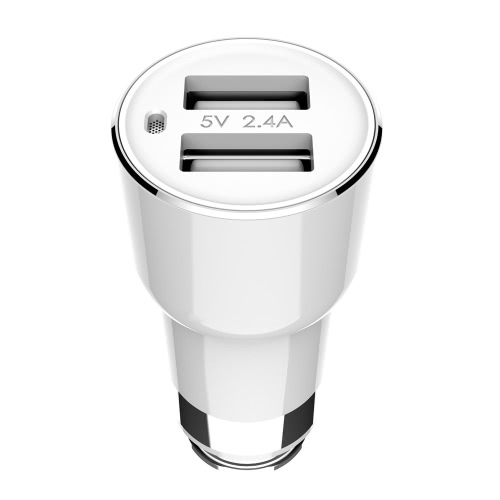 2 universal USB charging ports, single output 2.4A, Input Voltage: 12V-24V. 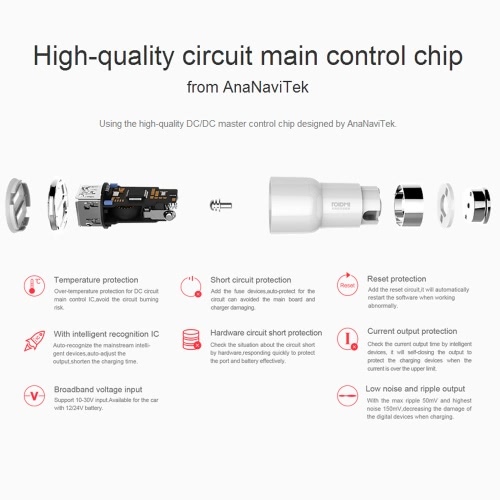 Compatible with iOS, Android, the performance is more powerful. 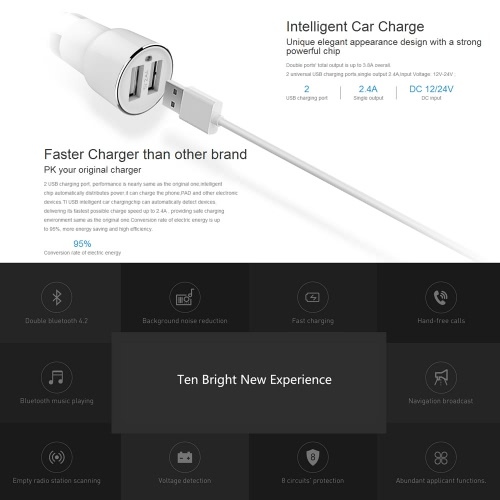 MIC version car charger,safe and convenient. 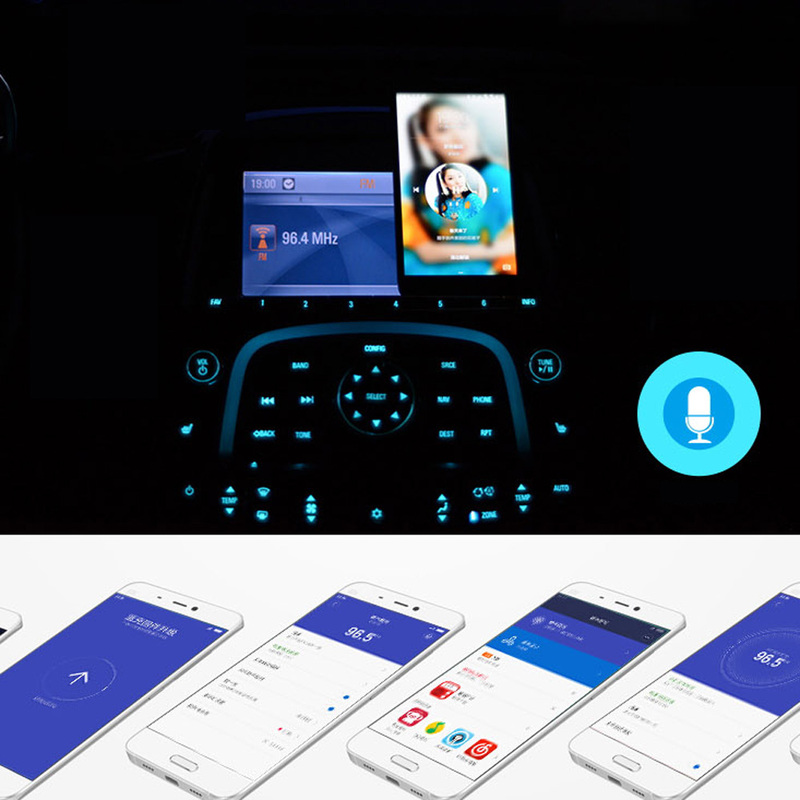 Bluetooth hands-free calls, enjoy your safe driving. You will not miss calls any more. Voice recognition, cool and intimate. 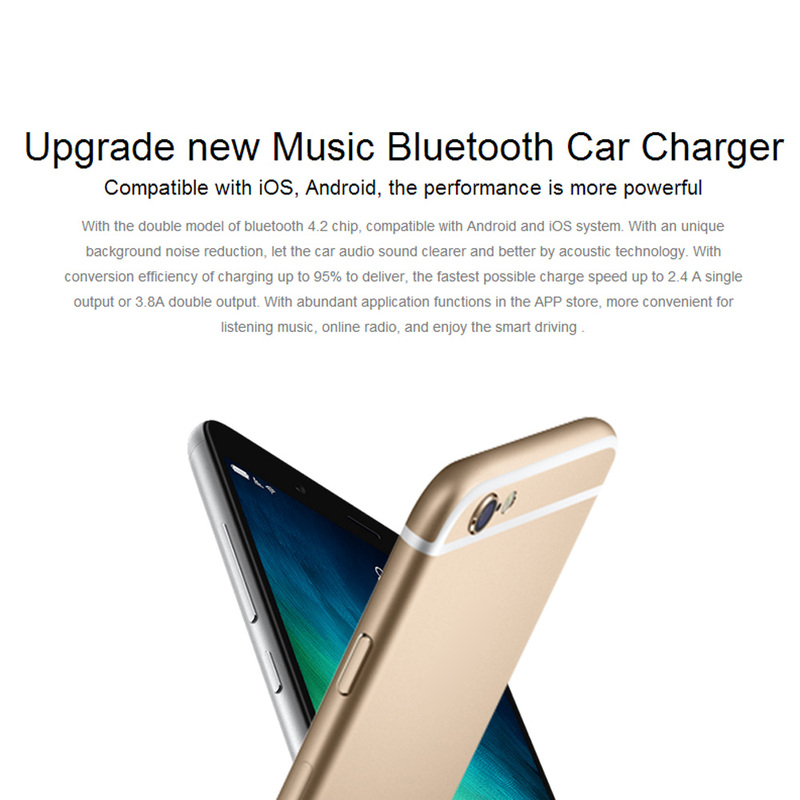 Fully upgraded APP, perfectly support Android, iOS system, monitor battery voltage,inquiry traffic violation. 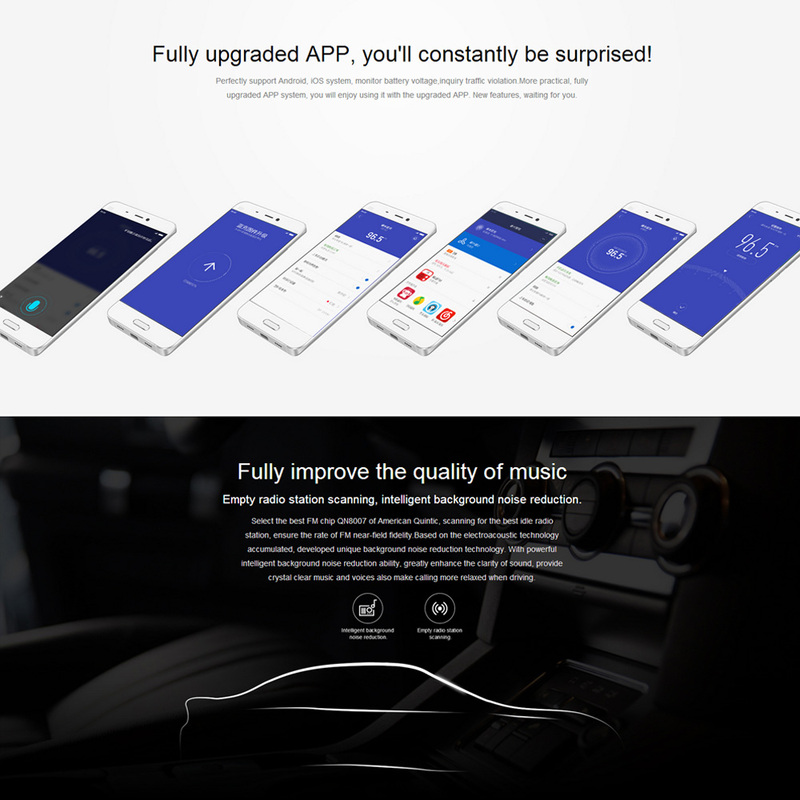 Fully improve the quality of music, empty radio station scanning and intelligent background noise reduction. Inner glow USB LED light,which makes your feel much more comfortable. Equipment requirements: App supports Android 4.2, iSO8.0 or later version,only used in the vehicle cigarette lighter socket.